Earlier this year, I visited the town of Gedera with the Social Justice Track from The Pardes Institute of Jewish Studies, to learn about the Ethiopian Jewish community. A fellow student from Pardes volunteered and lived in the community last year, they helped arrange the visit. Though I have learned about Aliyah from Ethiopia from a Historical perspective, I had never met anyone who experienced it. We met with her host mother, an Ethiopian woman, who fled when she was younger. We ate some delicious Ethiopian food, learned her story and vaguely discussed some Ethiopian Jewish practices. 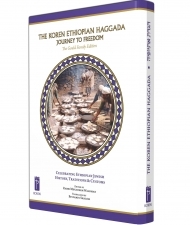 I wanted to know more about the practices of the Ethiopian Jewish community so this year I chose to use The Koren Ethiopian Haggada: Journey to Freedom (edited by Rabbi Menachem Waldman). I was not disappointed. The Haggada begins with an introduction to the traditions and practices of Ethiopian Jews. Rabbinic Judaism is a relatively new concept for the Ethiopian Jewish community; their practices are based on the literal words of the Torah and traditions are passed on orally. 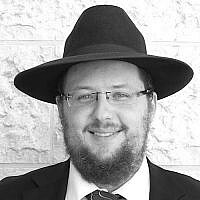 To that end, there is no written Ethiopian Haggada, as the “traditional” Haggada is rabbinic in nature. The Priests and Elders of the community tell the story of the Exodus orally in addition to other relevant stories. Afterwards, the men, led by the Priests, offer prayers specifically about the exodus. Having established that there is no Ethiopian Haggada, I wondered what could appear in the one I was reading. Most sections of the traditional Haggada are accompanied by a first person account of life in the Ethiopian community, the journey to Israel, or the struggle to integrate and be accepted into Israeli Society. 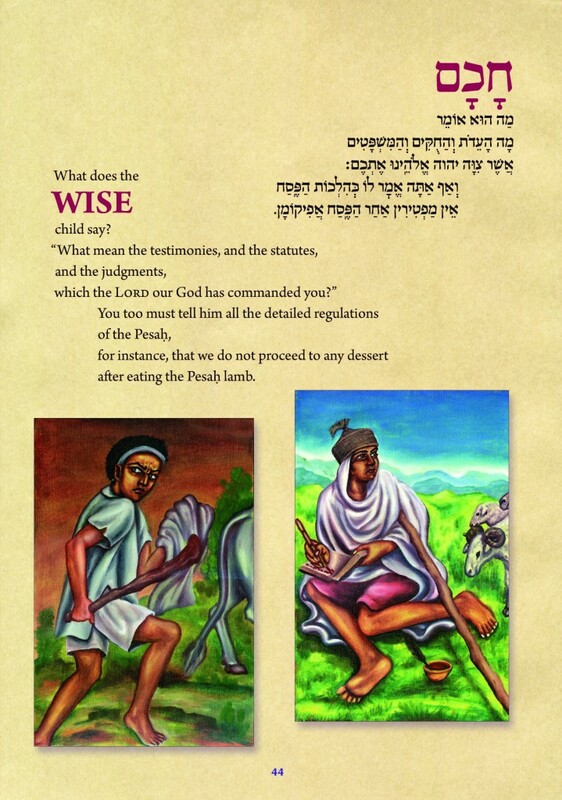 Translations of prayers about Exodus that are specific to the Ethiopian community appear throughout, along with images that depict the life of the Ethiopian community, in Israel as well as before Aliyah. The traditions for the festive meal in the Ethiopian community reflect the commands in the Torah, including a lamb for sacrifice. The prohibition on Hametz is extended to include any fermented and aged foods. The lamb would be consumed as it is described in the Torah; while crouching, the men with their canes in hand, the women with children on their backs. 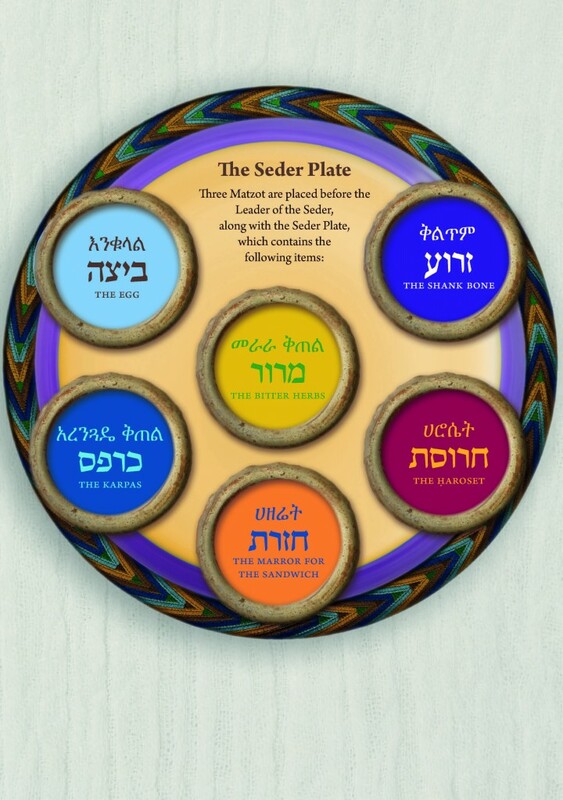 The unique practices of the Ethiopian Jewish community offer the opportunity for a truly experiential Seder. It is clear that the Exodus from Egypt is reflected in the experience of the Ethiopian community. This Haggada explores the complexity that stems from trying to preserve traditions that have been passed down for generations while trying to enter into a society with traditions that that are not your own. If you are looking for something new to bring to your Seder, I recommend adding some of the passages from this Haggada; they will bring a new perspective to understanding exodus and redemption in our time. 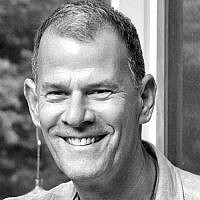 Aliza Geller is currently a Fellow at The Pardes Institute of Jewish Studies. 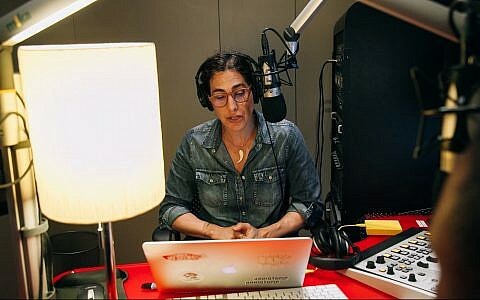 Aliza is pursuing a career in Jewish Education, has an MA in Jewish Education from The Jewish Theological Seminary, a BA in Jewish History, and has studied at the Pardes Center for Jewish Educators. 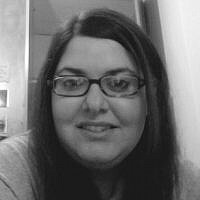 Aliza has worked as a resident adviser and a student life professional at the American Hebrew Academy.